Menstrual cycles might cause sleep disruptions in the days before a person gets her period, a new study finds. These disruptions may result from the hormonal shifts that are common at different stages of the menstrual cycle. Specifically, the researchers found that spikes in estrogen and/or progesterone might account for sleep disturbances in the days leading up to menstruation. Additionally, dieting participants were also likely to experience sleep disruptions right before ovulation. This study is the first of its kind to examine menstrual and metabolic hormones as they relate to sleep regulation. The study was conducted at the National Institute of Environmental Health Sciences (NIEHS) and was recently presented at ENDO 2019, the annual meeting of the Endocrine Society. The data was analyzed by Anne Kim, a medical student research fellow at the Cleveland Clinic Lerner College of Medicine, and Dr. Janet Hall, M.D., an endocrinologist, clinical director of NIEHS, and Kim’s preceptor and research group leader. We spoke with both Kim and Hall to learn more about how menstrual cycles might impact sleep. Kim and her research partners collected sleep data from participants on a daily basis over the course of two menstrual cycles. The participants were 10 healthy women between the ages of 18 and 28. Each of these participants reported having regular menstrual cycles. The researchers found that, during the late luteal phase of participants’ sleep cycles, sleep disturbances were more common. These disturbances included a decrease in sleep efficiency and an increase in nighttime wakeups. While this study was small, Hall says the results were very significant. “It does suggest that it’s not something rare,” she says. 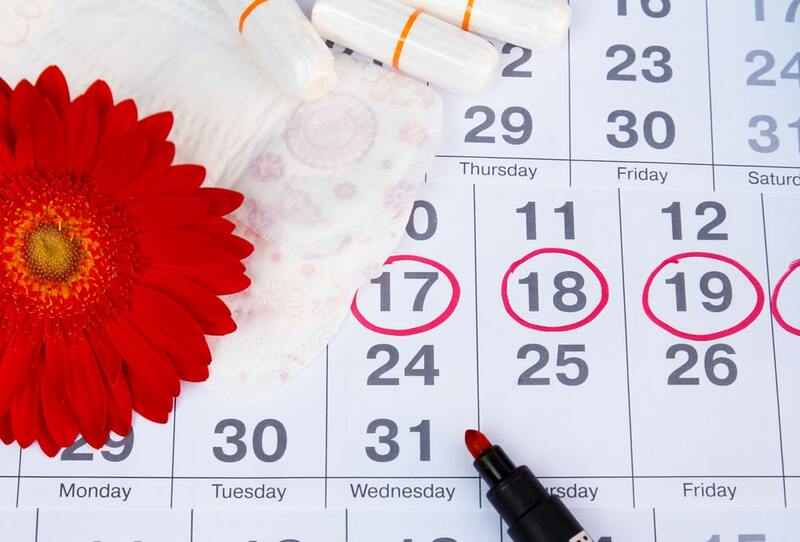 In order to understand how, when, and why menstrual cycles might influence sleep, it’s important to understand how these cycles work in the first place. Per Kim, the menstrual cycle consists of four phases, namely the follicular phase, ovulation, the luteal phase, and menstruation. Additionally, there are two primary reproductive hormones — estrogen and progesterone — involved in the cycle, and they each follow different patterns throughout this cycle. After ovulation, the cycle transitions into the luteal phase. Kim says estrogen declines again in the early luteal phase, then rises and peaks in the mid-luteal phase, and then declines to baseline again in the late luteal phase. Again, the late luteal phase (which takes place right before menstruation) is the phase during which participants were most likely to experience sleep disturbances. Based on their findings, Kim and Hall speculate that the fluctuations in estrogen and progesterone may explain menstruation’s impact on sleep. Hall says this data makes sense when you consider that hormonal shifts during pregnancy are also related to sleep disruptions. In future studies, the team hopes to determine whether progesterone or estrogen (or a combination thereof) is the most likely cause of sleep disruptions during the late luteal phase. While sleep disturbances were most common in the days right before participants menstruated, they also occurred right before ovulation when participants were completing the five-day diets, Hall says. 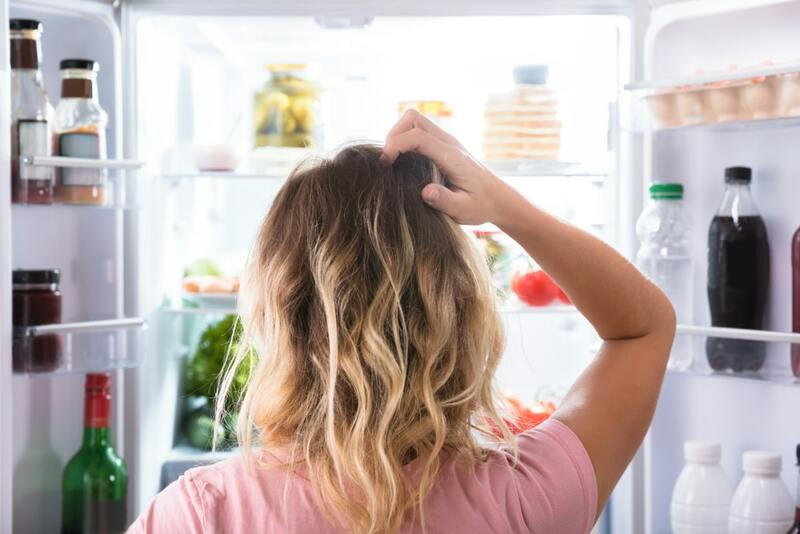 The researchers chose to study the effects of caloric restriction on sleep because many of the same hormones involved in metabolism also affect sleep regulation and menstrual cycles. It’s helpful to know that sleep disturbances might be more likely in the days prior to your period, Hall says, because then you can plan accordingly. “If it can be associated with a time in the cycle, then you can do something proactively to try to manage it,” she says. While it’s a good idea to practice sound sleep hygiene on a daily basis, it’s especially important during this phase in the menstrual cycle. Hall says that includes strategies such as going to bed and waking up at the same time every day, sleeping in a darkened room, avoiding screen time before bed, and so on. “It’s really being aware of, ‘Oh geez, this is going to be a time of the cycle when I might be more disrupted than I usually am,” Hall says, and then adopting a few lifestyle changes accordingly. It may also be helpful to track your sleep and menstrual cycle in order to learn more about when your sleep is most likely to be disturbed during that cycle. “The idea of tracking things and providing data for yourself can be very helpful,” Hall says.